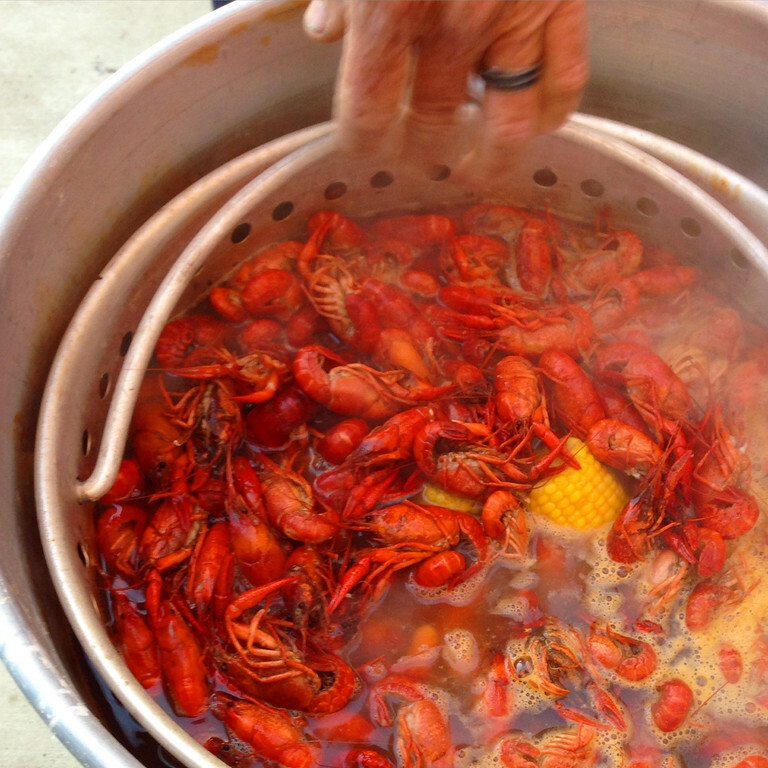 First rule of food in Louisiana: Crawfish are King, and a spicy hot “crawfish boil” is part of every spring celebration. When we visited Southern Louisiana last month for Kevin’s uncle’s 90th birthday party, we were lucky to land right within the first few weeks of of crawfish season. It was our first visit to that part of the state, and we spent a week traveling from Lake Charles to Lafayette, Louisiana. As usual, learning about local foods was high on my list of things to do. I remembered how Kevin’s dad had always raved about the Louisiana family’s legendary crawfish boil and his love for the so-called “mudbugs”. I didn’t know much else about this regional delicacy before we visited, but found their story and place in Cajun food and culture fascinating. Crawfish are a small freshwater crustacean. Like their larger cousins, the lobster, they have a relatively small amount of meat in a larger shell. They are either cooked whole in a spicy broth, or the meat is removed and used in a cooked soup or stew, like the popular Cajun dish, Crawfish Étouffée. Most crawfish are harvested between December and June, but March, April, and May are the peak months in Louisiana. 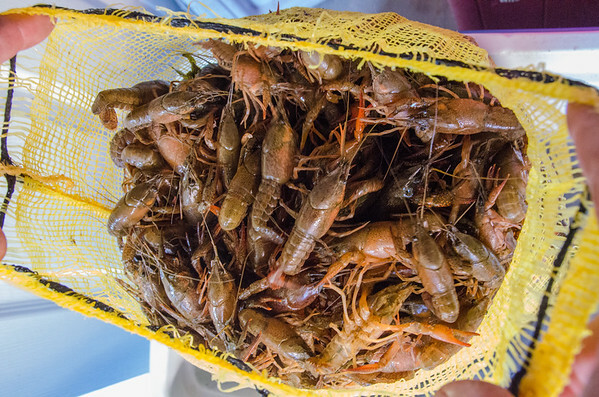 The crawfish are smaller with less meat in the earlier and colder part of the season, but they are also most expensive then because they are in high demand by eager locals. 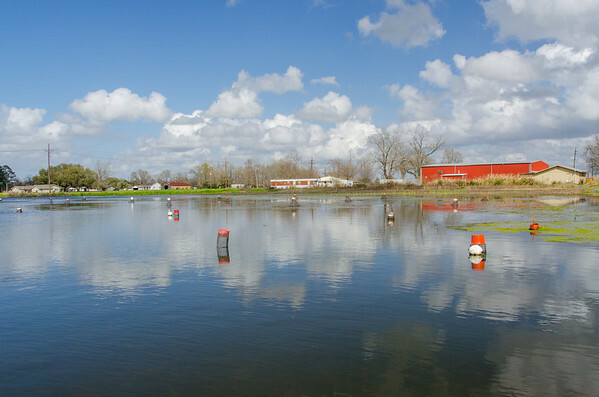 Southern Louisiana produces over 80 million pounds of crawfish each year, most raised in shallow man-made ponds and harvested commercially. 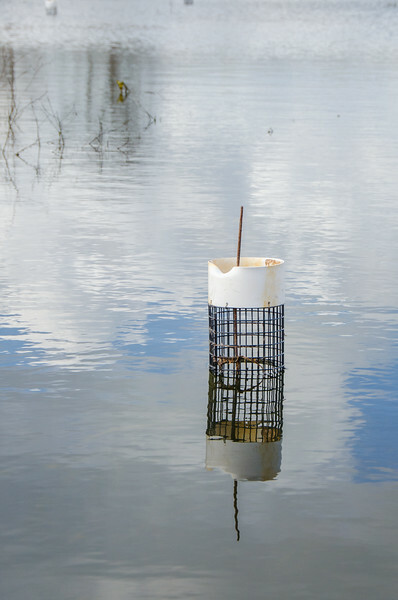 Driving the backroads of Louisiana’s Cajun country parishes near Lafayette, you’ll see acres of these shallow pools, dotted with vertical cages that trap the crawfish. Some families have small crawfish ponds that they maintain for personal use. Crawfish can also be harvested wild, as they live in swamps, bayous, and ditches. Wild crawfish are often called “mudbugs,” because they burrow into the water-logged coastal soil over the winter to keep warm. 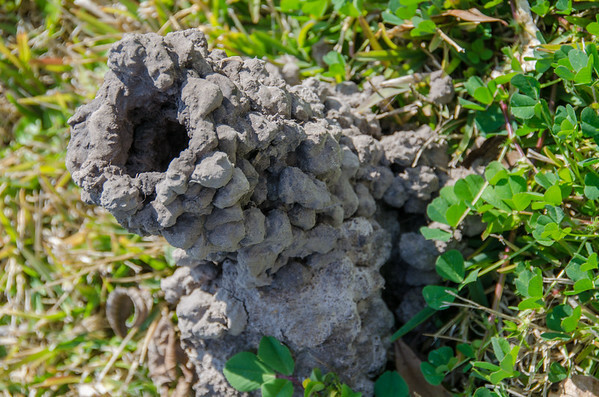 Watch your step, because Louisiana lawns and fields are dotted with towering “crawfish chimneys” that they build up from the earth. Below each clay tower (some are almost a foot high! ), is a underground burrow. Apparently, if you lower a string with a small piece of meat tied to it into the hole, you can catch the crawfish when he clamps down on the food. Crawfish are the official state crustacean of Louisiana–did you know states have designated official state crustaceans? Well, crawfish-mad Louisiana was the first! Crawfish are at the core of the spring menu and some dishes are designed to pair with this local favorite food. 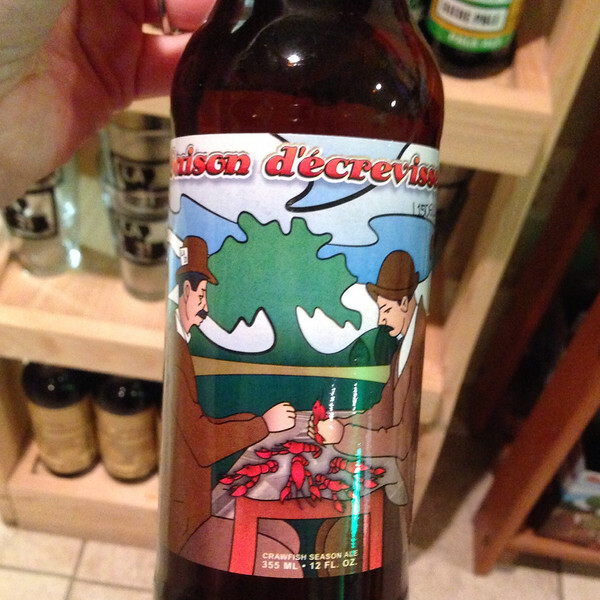 We visited a local craft brewer, Bayou Teche Brewery who brews a refreshing spring saison that they call Saison d’écrevisses or Crawfish Season Ale. As family were arriving on our first night in Lake Charles, I got to help Uncle Gene cook up a 40 pound bag of live crawfish. The crawfish boil was the center of dinner that night and we enjoyed the leftovers all weekend. 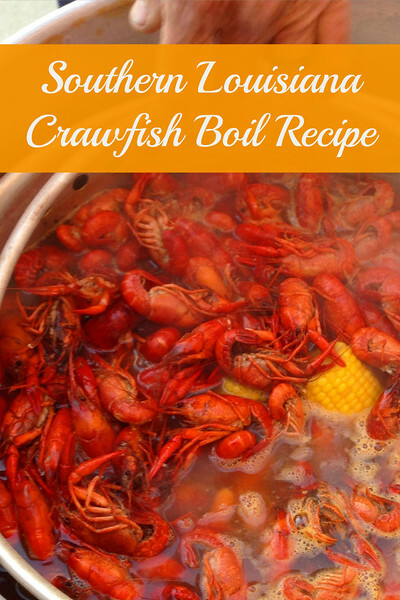 I took some notes, and I’m excited to share his crawfish boil recipe. Fill turkey fryer half full with water. Turn it on and wait for it to boil. Add crawfish boil seasoning (to taste) to boiling water. For a moderately spicy batch, we used close to half of the 4.5 lb jar of crawfish boil seasoning. Add potatoes and carrots to the pot, cook for 10 min. Add corn on the cob, cook for another 5 minutes. 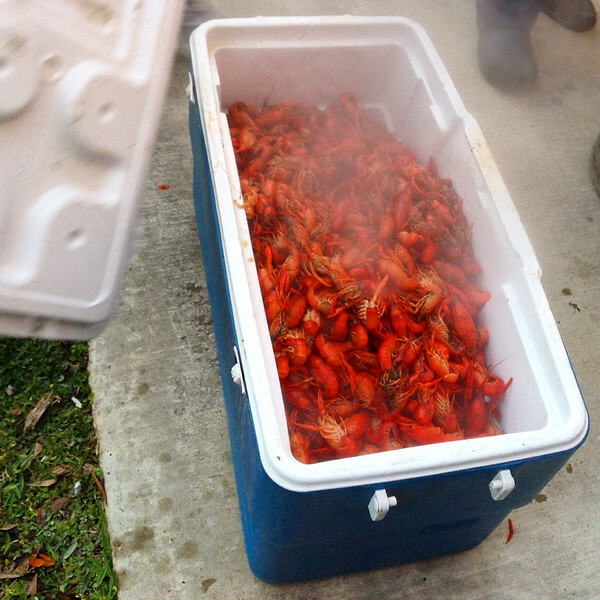 When the crawfish are done, take the strainer basket out and dump the crawfish into the clean cooler to keep them warm. Many times, local Cajun cooks dump the cooked crawfish onto a newspaper covered table, ready to eat. Propane turkey fryer with handled draining basket. I though I love the sweet taste of crawfish, it’s just too dang much work LOL! Now if I had someone to peel them and feed them to me….. I just spotted this comment, sorry I’m a year late 🙂 They are a lot of work! We had about 10 lbs of leftovers remaining and some of the guys shucked them so that Aunt Dot could freeze them for use in crawfish etoufee. It took a long time! I also noticed noticed that lots of restaurants in the area had “help wanted” signs posted looking for seasonal crawfish shuckers. I am from Lake Charles and love my community and the heritage we share with our foods. There is no place in the world quite like Southwest Louisiana. As you travel further east the food flavors begin to change and become very different. I am very interested if I may know your family here in lake Charles. I am fascinated that I came across this website and your speaking of my hometown. I just love it. Excellent! Thanks for sharing this tip, Willie!